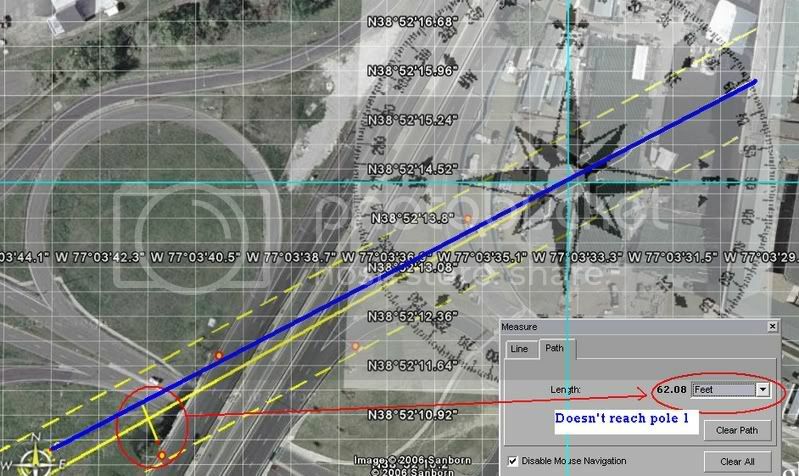 Claim - The csv file and animation show a heading along the official flight path. We have provided all data which pertains to all published research and analysis that is not proprietary in nature. All information/data can be found on links above. The only information we cannot and do not provide is a proprietary Data Frame Layout which does not change our analysis in any way. Undertow can expand on this more when he sees this post. Claim - Cover Letter Dated March 22, 2007 says Animation not "Official" that its a "working copy"
Animation isnt the only information we have. We also have a Raw file and csv file (see above). However, the cover letter states the animation "was not used for official purpose" which means it was never used in an investigation. It is an official copy since it was officially provided through the Freedom Of Information Act and from the NTSB. The NTSB notes in the cover letter that they want everything as accurate as possible when providing information through the FOIA, however they note one error which was made to the clock annotation. They do not account for any other possible errors regarding the animation in this cover letter. Given the fact that all we really need is the last data point - we offer the following article. These are some of the most common arguments when discussing Pilots For 9/11 Truth analysis regarding the information provided by the NTSB. I will add common arguments as they arise. Hope this is helpful for those defending the pilotsfor911truth.org analysis/research. For original thread in our forums.. Your assiduous and indefatigable diligence is commendable. I could only hope to be so organized. Thanks for posting that... such packages are immensely valuable for their economical distillation of material. Ok. Have I raved enough? I didn't have to get out the thesaurus to just say "thank you", but I wanted to be clear. I look forward to a fly-in and hanger-racing with you all someday soon. Erin S. Myers on Wed, 06/06/2007 - 8:41am. Erin S. Myers on Wed, 06/06/2007 - 8:50am. BoneZ on Wed, 06/06/2007 - 3:23pm. IMHO the flight-data recorder file is like 25,165,994 silver bullets. from the AA77 Flight Data Recorder?? and email the link to those avionics hacks!!! Can someone please get a court injunction!! u2r2h on Wed, 06/06/2007 - 6:40pm.